Every year, my family eats tamales for Christmas dinner. My mom hails from Dallas, Texas, and in true Texan tradition, serves the corn husked wrapped delicacies alongside our prime rib, mashed potatoes, roasted veggies and other holiday fare. Dating back to the Aztecs in the 15th century and rooted in Mexican culture, tamales have always been served at large festivals and celebrations (due to their complexity and the time it takes to make them). Tamales are now a tradition that has been associated with Christmas throughout Mexico and the American Southwest, and the traditional favorite now adorns many Texas tables during the Christmas season. Our holiday tamales come to our family's home in Northern Virginia from Dallas in a frozen box by way of the United States Postal Service, because if you're looking for something truly authentic, you should get it directly from the source. The good news for me (and my mom when she comes to visit me in Charlotte) is that I don't have to wait until Christmas or for USPS to get authentic tamales in Charlotte anymore. A few months ago, I was scrolling through Twitter and discovered some of the best news I've heard in a long time. There is a woman in Charlotte who arrives at her restaurant at 7 a.m. to concoct hand-made tamales. That woman, Laura Gonzalez Perez, works at Tamaleria Laurita. The eatery serves up a variety of fresh, flavorful tamales, made from scratch every morning. Make a beeline for the small strip mall at the corner of Arrowood and Old Pineville roads (just near the Arrowood LYNX stop and the Southern Charlotte branch of the DMV) to get your choice of six kinds of tamales, plus other Mexican and Central American favorites like tacos, tortas, enchiladas and empanadas. The small, simple, no frills establishment boasts no more than five to six dining tables where you can enjoy your tamales and other goodies, topped with house-made hot sauce that packs a punch and a ton of flavor. If you have the self-control to wait to indulge in the tasty tamales until you get home (or if all of the tables are taken and there's nowhere to sit) "to-go" is also a viable option, but the delicious smells coming from the Styrofoam takeaway boxes will tempt you the entire drive home. Speaking of simple, they make it easy to order, with labels and photos of menu items lined methodically along the counter that's home to the cash register. The man behind the counter is friendly and patient; and while my ordering experience left me wishing I had kept up with Spanish classes after high school and college (my accent is embarrassingly awful), don't be afraid to gesture and point to photos of menu items if your Spanish is a little rusty. 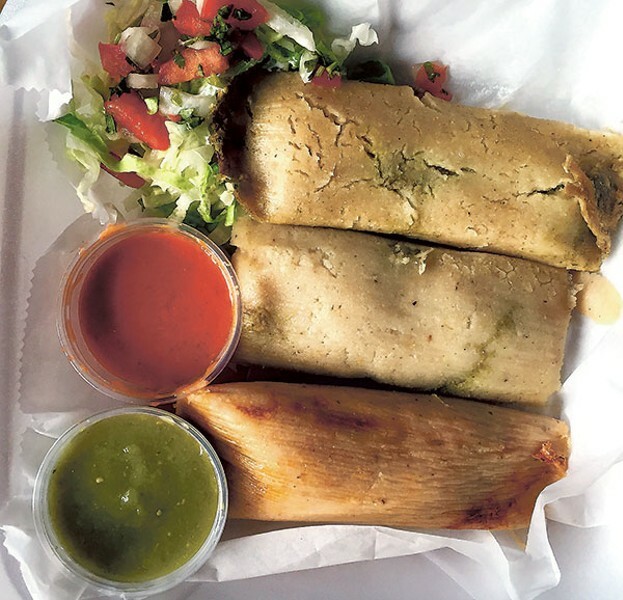 Tamales are a must order; after all, the restaurant is named after the corn masa and meat bundles that are individually wrapped and then steamed. We tried three of Tamaleria Laurita's six varieties, pork, chicken and cheese. Unfortunately we did not get our paws on some of their mole sauce tamales (lesson learned: if you're pining for mole sause tamales, you'll have to get there early and not 30 minutes before closing time). 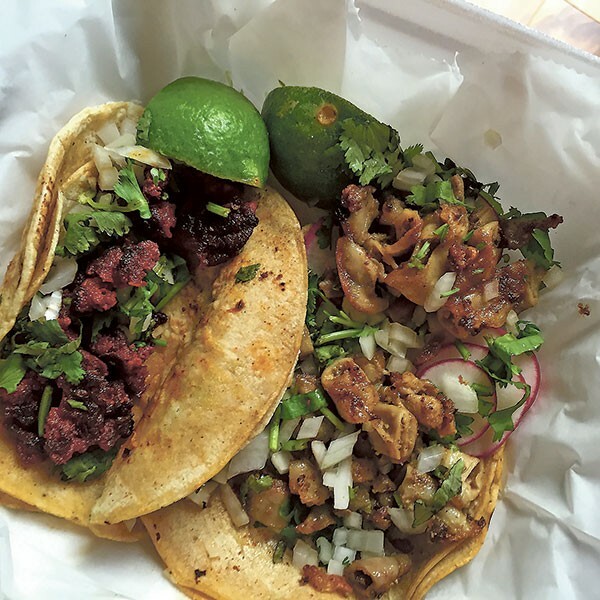 While the tamales are a meal on their own (three should fill you up), bring a dining companion and round out your meal with tacos, where you can stay safe with chicken or pastor (pork) or be a little adventurous and try chorizo, lengua (tounge) or tripa (tripe). While you'll be full, you may not be able to say no to enchiladas, a burrito, tortas or an order of empanadas; no one ever complained about leftovers and you'll totally make your coworkers jealous when you show up to lunch with the tamales and empanadas you were too full to consume the night before. Chrissie Nelson is a public defender by day and a food blogger by night. Read about her foodventures, restaurant reviews and other Charlotte musings at offtheeatenpathblog.com.